Born in Avilés, Asturias, in 1974 Dr Menendez studied Biochemistry at the University of Salamanca (1997) and received his PhD in Medicine (Hematology) from the same University in 2002, where he worked under the supervision of Prof Alberto Orfao and Dr Jesus San Miguel. He carried out his postdoctoral training in stem cell biology (Mick Bhatia Laboratory) in Canada from 2003-2005 and in childhood leukemia (Mel Greaves Laboratory) in the UK from 2005-2007. In 2007, he was appointed Director of the Andalusian Stem Cell Bank in Southern Spain. 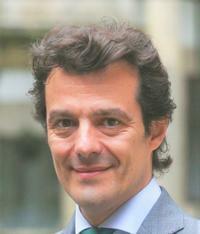 In June 2011 he was appointed Principal Investigator at GENyO (Centre for Genomics and Oncology of The University of Granada-Junta de Andalucía, Spain) and in June 2013 he was appointed as an ICREA Research Professor and Research Director of The Josep Carreras Leukemia Research Institute-Campus Clinic-UB, in Barcelona, Spain. 2013 ICREA Research Professor. Generalitat de Catalunya. 2011 Principal Investigator GENyO, Granada. Spain. 2008 "Tercer Milenio" Award to under 35 Young Outstanding Investigator. Promoted by the Andalusian Government.